Display your message from a lamp post or a wall. Brackets can be moved for adjustable height. Brackets are made from weather-proof aluminium castings and GRP tubes. Supplied with 800mm × 2000mm double-sided banners printed on 740gsm blockout vinyl PVC with pole pockets top and bottom. The banner includes two wind-slits and two securing-eyelets as standard for continuous use in all weather conditions. System comes as standard with extra-large jubilee clips for fitting to lamp posts. If you require wall mounting you will need to purchase the wall plugs and bolts of your choice separately from your local hardware store. Replacement graphics are easily ordered and installed. 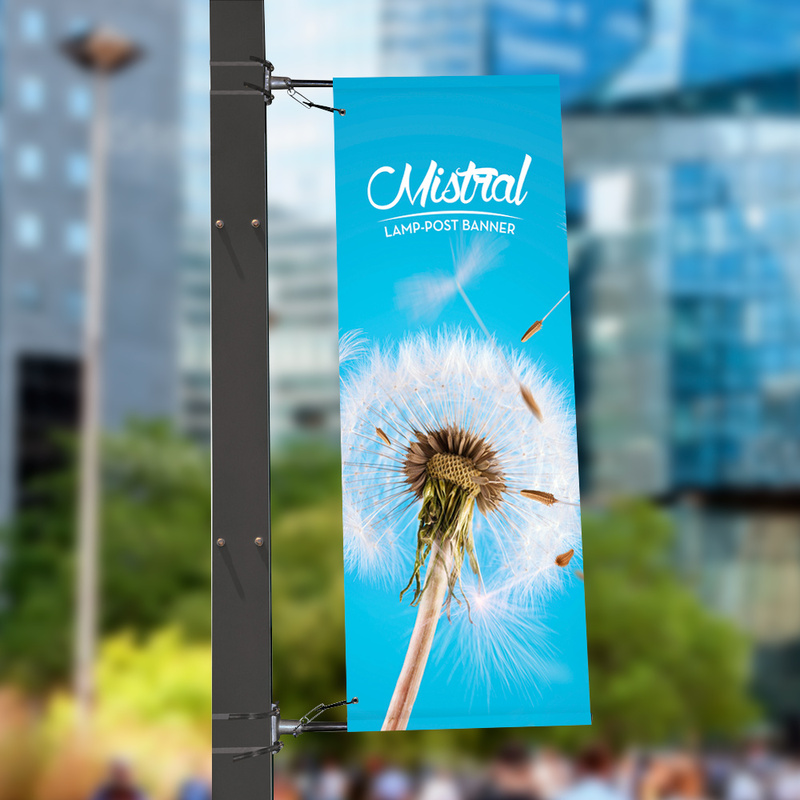 The Mistral can be ordered with different height banners - please contact us for information and pricing. Please let us know if you would prefer more, less or no wind slits in your banner(s).